100 Easy Recipes in Jars | Holiday Gift Ideas! 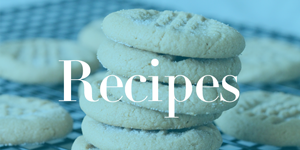 Home / Freebies / Free Stuff Online / Free Kindle Books / 100 Easy Recipes in Jars | Gift Ideas! Check out this Free Kindle Book Download: 100 Easy Recipes in Jars! 100 Easy Recipes in Jars by Bonnie Scoot would be a great Free Kindle Book to download now for great Holiday Gift Ideas!! This book includes jar recipes for Cookies, Breads, Snacks, Soups and More! A perfect gift idea for Teachers, Friends, Family Members, or small groups of people! Plus, don’t forget that you don’t have to have a Kindle to grab these Free Books, you can put the Kindle Reading App on your Phone or Computer and take advantage of all these Free eBooks!